L3O and Horizon Game Discussion Boards • View topic - How to I split ship from a fleet? How to I split ship from a fleet? Post subject: How to I split ship from a fleet? I'm sure I missing something simple. Post subject: Re: How to I split ship from a fleet? 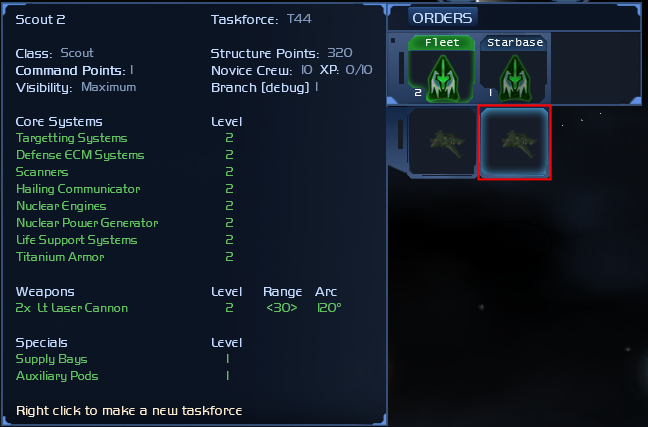 Click on a task force and then right-click on the ship within. Click on a task force and then drag a ship out of it's slot. Clicking on a task force and right-clicking on the ship didn't help. The more man think upon good things, the greater will be the world at large. It should look like this. Select the task force (from 1st row) and then right-click on the ships (on the 2nd row).